How wonderful, to have all of this information in one book. Thank you for all the long hours you devoted research and writing. I know that it will help so many for years to come. Ashley, I’m still not sure if I’m going to make it to the Chicago conference, but I definitely want an autographed copy! I hope you’re able to make it. You’ll be missed! I couldn’t make it this year, but I would still love to have an autographed copy if you don’t mind. I am placing my order now from this page. Lots of love coming your way. I am so proud of you! Ashley, I really want a copy, and hope to soon be able to order one . Will you have it available through bookstores or Amazon? and most of all Congratulations !!!!! Hi Lea! I will be on Amazon in about one week, but you can get free shipping if you order through this site and use coupon code CBChicago2017. Hi, do you send to Australia? Ashley awesome job! A MUST read whether a CH, support or advocate! More importantly this should be required reading for medical schools, (MD, RN, Pharmacist, etc) AND a must for insurance representatives!! 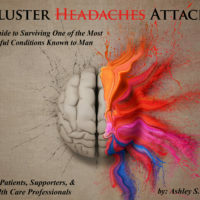 As a supporter of a CH (my brother) and an advocate (RN) I found this book to be so informative, from describing different types of headaches, yes with focus on CH, to diagnosis to treatment options/alternative treatments to advise for reaching out to CH groups. The personal quotes were eye opening; and so emotional. 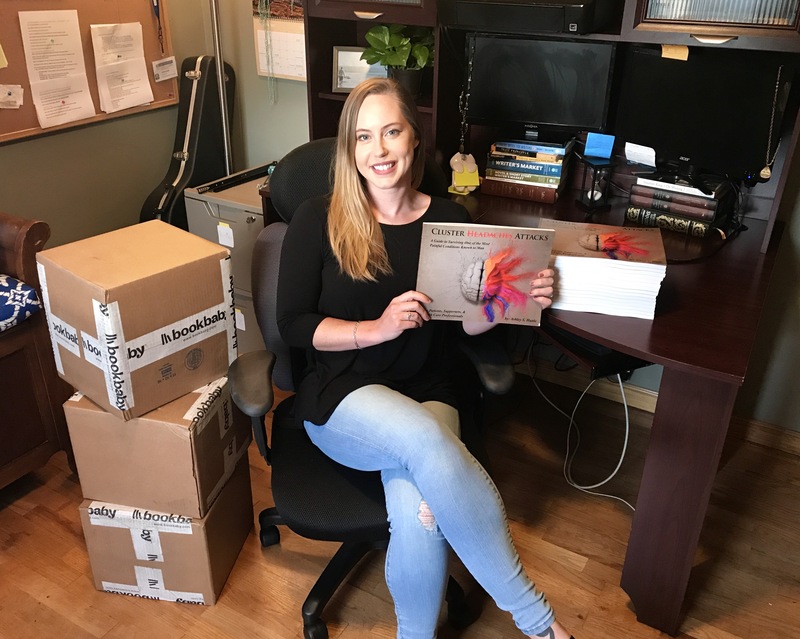 Ashley did an amazing job researching, interviewing and writing this book. Highly recommend reading it! Pain free wishes to all in the CH community! Wow, it’s like reading my mind and every bit of research I’ve done and want to do. What a perfect resource for both the suffer and the supporter. Thank you. Do you post to the UK? And how do I order one? Hi Mel, I do post to the UK. I’ve sent several overseas recently. You can order through the site and put your address in when you checkout. International shipping is costly. I’m working on lowering the shipping price through Amazon, but it’s taking longer than I expected. The book is now available in the U.K with free delivery from Amazon Prime. Shipping is still quite expensive on this site, so Amazon is the way to go for international purchases. Here’s the link: https://www.amazon.co.uk/dp/1543912370 Pain-free wishes! Will it be released on iBooks ? No, iBooks has strange copyright rules. I’m hoping it will be available on Kindle and Amazon eBooks within six months. What’s Happening i’m new to this, I stumbled upon this I’ve discovered It absolutely useful and it has aided me out loads. I’m hoping to contribute & aid other users like its aided me. Great job.